You don't need to have a wedding / bridal shower "theme" in order to incorporate unique and interesting ideas to your decor. 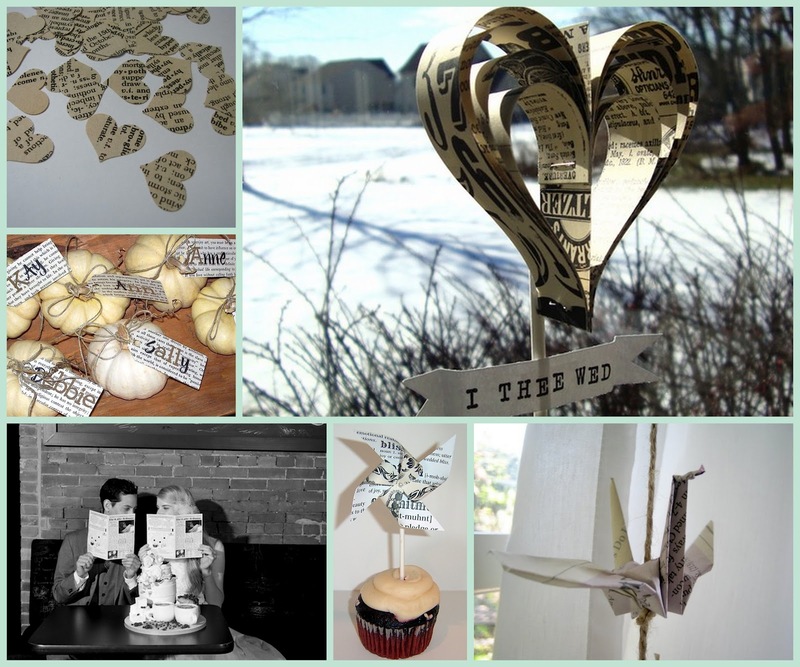 We already talked about incorporating your love of literature into your wedding, but here are some ideas involving newsprint. What we love about this decor style is that it's so simple (and green). Just take some old newspapers and make it into something beautiful... or hire one of the many talented Etsy artists that we scoped out for you to do the job. These simple newsprint crafts are perfect for more rustic DIY style weddings, adding subtle character to your decor.